New Zealand Football is encouraging All Whites fans to get behind the team on their Road to Russia. All Whites coach Anthony Hudson is getting his team ready for home and away fixtures against the Solomon Islands in the Final Stage of Qualifying for the 2018 FIFA World Cup in Russia in September. The OFC Nations Cup Champions, who competed well with the world’s best at the recent FIFA Confederations Cup in Russia, will look to book their place in the Intercontinental Playoff against the fifth-ranked South American side in November. The home match against the Solomon Islands is the first game and will be staged on 1 September at QBE Stadium on Auckland’s North Shore with kick off at 7:35pm. New Zealand Football Chief Executive Andy Martin said a good result in the opening game is hugely important for their FIFA World Cup qualifying chances. 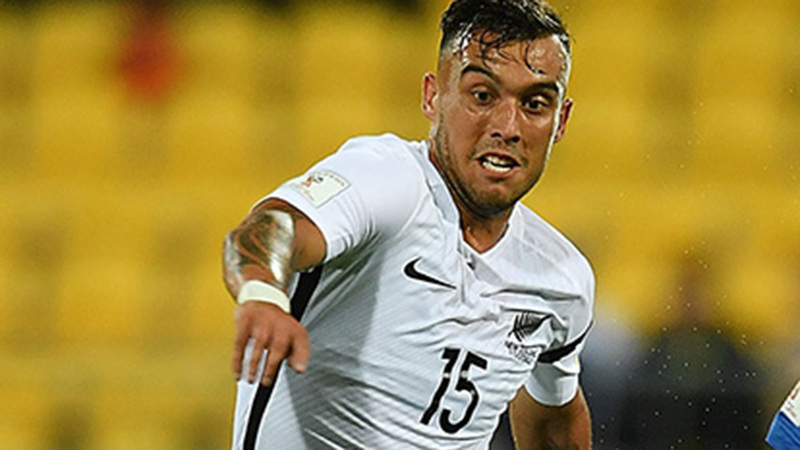 New Zealand Football want as many All Whites fans at QBE Stadium as possible and have come up with Early Bird ticket options which makes the international very affordable. All tickets purchased between 20 July and 6 August will be discounted by $10. Category A tickets are $29 per adult, $10 for a child, and families can attend for $68, while Category B tickets are $19 adult, $5 Child and $43 for a family. Children under the age of 12 can attend the match for free with a paying adult. “We want to see a full stadium and have priced the match accordingly. To be able to attend an All Whites World Cup Qualifier for as little as $19 is great value and this will be one of the most affordable All Whites games in recent time. Hudson is expecting a tough challenge from Solomon Islands both here in Auckland and four days later on 5 September in Honiara. Every person who purchases an Early Bird Ticket (before 6 August) will go into the draw to be upgraded to an Ultimate All Whites Experience. This will include a corporate box for 10 people with food and beverage to the value of $1000 for the duration of the game and a signed All Whites shirt. To be eligible, fans must purchase an Early Bird Ticket through Ticketek and tag a mate on the official All Whites Facebook Page post.